This versatile bottle holder from Apple & Bee is sure to make a fashion statement wherever you and your little one go. 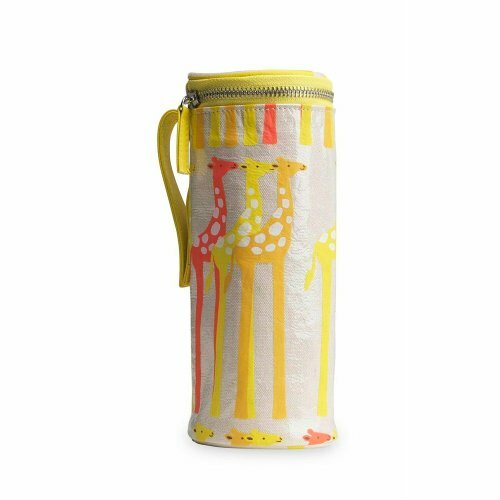 Help keep your bottle separate from all the other goodies in your diaper bag (and not to mention warm) with this case made from organic cotton and a wipeable Eco-friendly surface. The bottle holder measures 7.5" tall with a diameter of 3" to accommodate most baby bottles.